Dolce&Gabbana have released a series of new commercials to showcase their Velvet Collection, including fragrances for both men and women, inspired from the private memories of Domenico Dolce and Stefano Gabbana. One of the spots, titled “Velvet Mimosa Bloom”, features the sophisticated and feminine new Velvet fragrance of the same name, which brings homage to women in its simplicity and light. Inspired from the Sicilian memories of Domenico Dolce, the pure scent of Mimosa has an unmistakable trail, gracious and persistent. 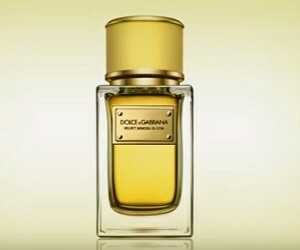 You can discover this exclusive fragrance and the complete Velvet Collection on D&G Beauty website.